Mondays… They’re the pits. Will a quick and easy recipe make it easier to handle? One can hope. 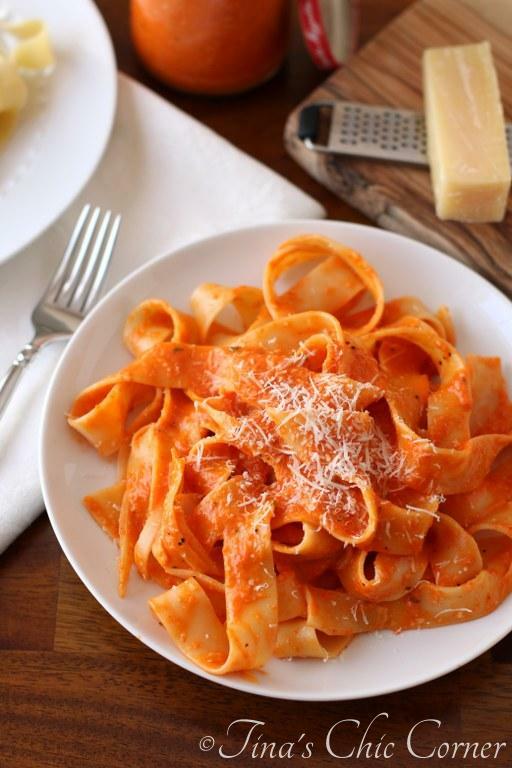 I love, love, love my Roasted Red Pepper Pasta and my husband says that it’s one of the best things that I’ve ever made. (Thanks, babe!) I’ve made it a handful of times, but I don’t make it as often as I’d like to because it’s not exactly what you’d call healthy eats. The sauce in the original recipe contains a half a cup of heavy cream. It sure is tasty and if you’re not counting calories then go for it. If you are (like I always seem to be) then it’s time to find a way to make this recipe a little bit healthier without sacrificing flavor. I decided to see what would happen if I used 2% milk instead of heavy cream. It’s greeeat! This recipe tastes just as good as the original recipe and I’m not even sure that I’d know the difference between the two recipes in a side by side taste test. Obviously a sauce using heavy cream is going to yield a more creamy result but I really don’t think that you’re missing anything with this version. I don’t usually include nutritional information in my posts but I wanted to show you how many calories and how much fat you are saving if you use 2% milk instead of heavy cream. I also want to show you that you don’t need to go straight to the lowest fat option (i.e. skim milk) in order to make this dish way healthier. * The reduction shown is just for 1/2 cup of that ingredient, not the complete recipe. Super secret “husband recipe”: Add this sauce to freshly prepared mac and cheese from a box to make tasty into even tastier. Add the chopped onions and minced garlic and cook for 2 to 3 minutes or until they start to soften. Add the chopped red peppers and cook the mixture for an additional 2 to 3 minutes, until it’s hot. Carefully transfer the mixture to a food processor and puree it until it’s mostly smooth. If you want to run it until it’s completely smooth that’s fine too. Gradually pour in the milk and grated Parmesan cheese and stir until it’s combined. Stir it all together so that all the pasta is completely coated with the sauce. * Note: The sauce will soak into the pasta overnight. If you don’t think you’ll eat all of the pasta then I recommend you store the sauce in a separate jar in the refrigerator adding the sauce directly to your plate when you are about to eat it. 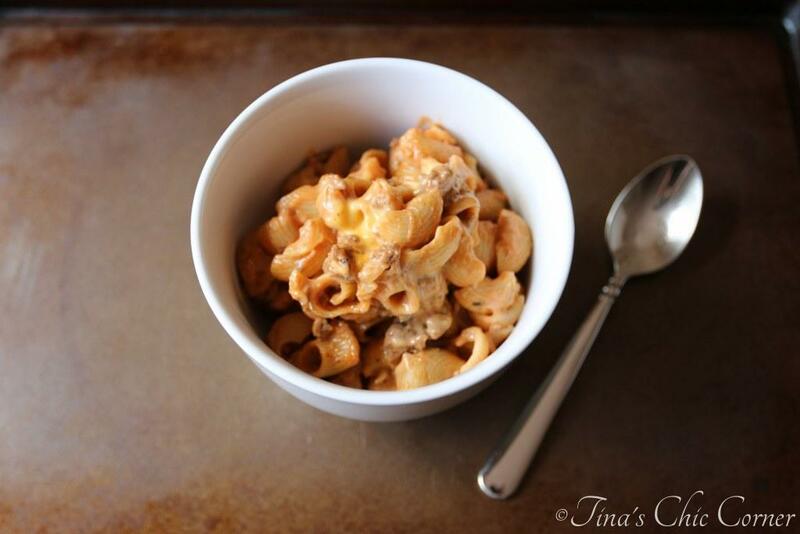 Here are some more tasty and quick pasta meals. I adore roasted red peppers so I know I would love this pasta dish! Looks so creamy and dreamy! Love the nutritional info and this looks creamy and guilt-free! Pinning! 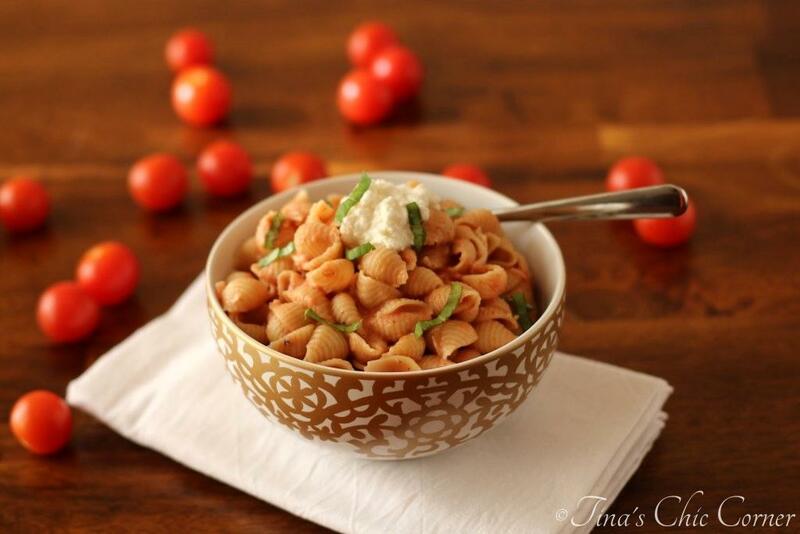 Love roasted red pepper pasta! One of my favourite comfort dishes! 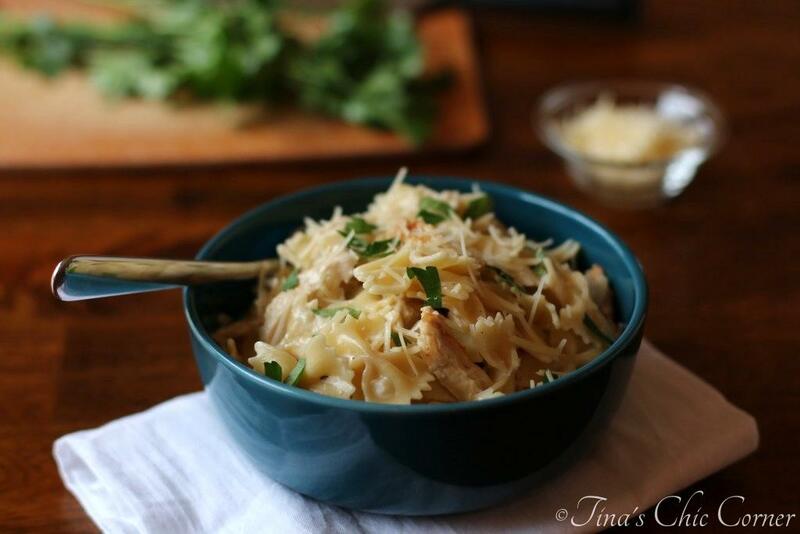 This looks divine, Tina! Wow Tina, I would’ve never guessed that these were so fast and easy to make, but I have to tell you Tina, this is totally a meal I would love. Pinned. OMG, my husband is going to diiiiiieeeeee when I make this for him because he is the BIGGEST red pepper fan e-v-e-r. (Well, maybe not ever ever, but you get what I’m saying.) And this is gorgeous! And I love how you made it a bit healthier without using the heavy cream! I do that a ton in my own kitchen, and the results are sometimes varied… but they’re good. I cannot wait to make this. Thanks for sharing and making this Wednesday a bit brighter, Tina! Wahoo! I hope he loves it as much as we do. 🙂 Have a lovely week, my friend!